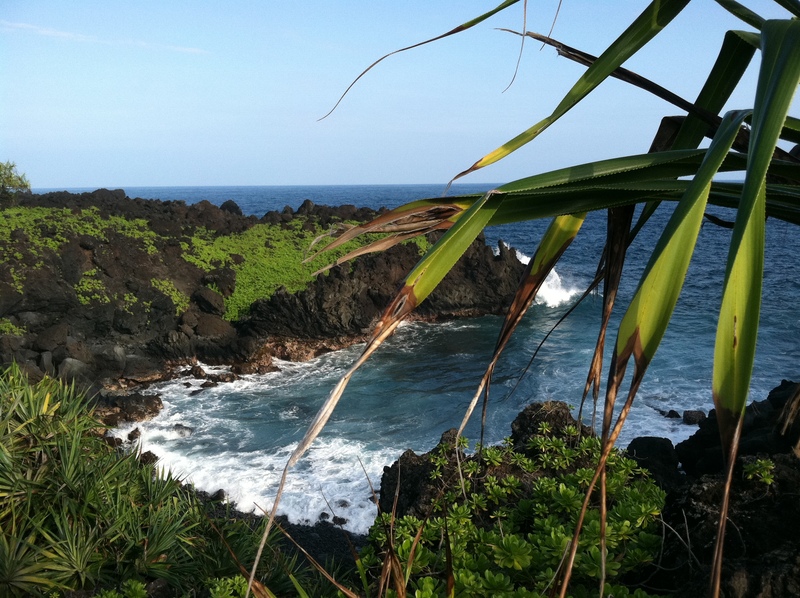 or driving the winding road to Hana. What tourists probably do not come to Maui to see is a protest, but that is exactly what they have been getting from activists recently. Just a few weeks ago they occupied the airport. A friend happened to be flying home to Oahu and reported vehicles circled OGG for half an hour, honking and causing traffic problems. The same day the activists harassed the mayor’s wife at her home, and protested “all the things” on the side of a busy intersection. One begins to wonder what exactly they are protesting at this point. On December 28th, the same group took to Wailea Beach to pester the tourists during our busiest week of the year. One woman walked down the beach yelling loudly, “They’re poisoning Maui horribly”. They then handed out fliers to those enjoying the beach (even though this is against the law), and generally disturbed a fairly pleasant morning. The large yellow sign says “Protect Paradise Evict Monsanto”. 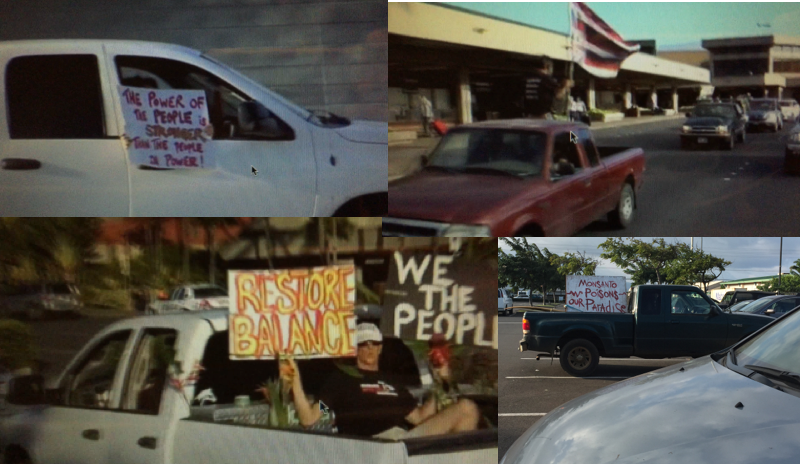 The irony of the above photo is that it also shows a sign which reads, “Save Maui Tourism, Thousands of Jobs”. I had to laugh. 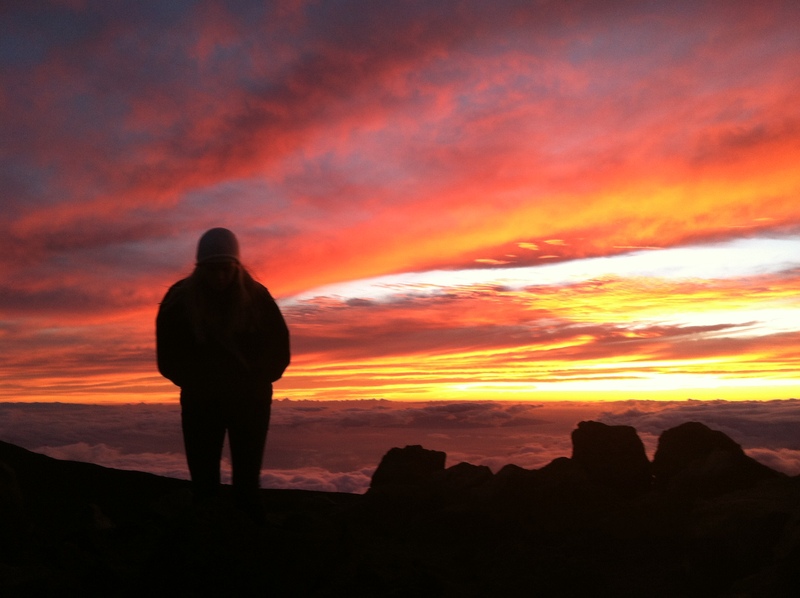 Here is a group doing everything they can to harm tourism during our peak season, and cause further division on Maui. Yet they are claiming that Monsanto is the cause of problems on our island. Once again, with absolutely no proof, they make terrible claims against a company employing hundreds of local individuals. Some might call this slander. In stark contrast is another group on Maui. 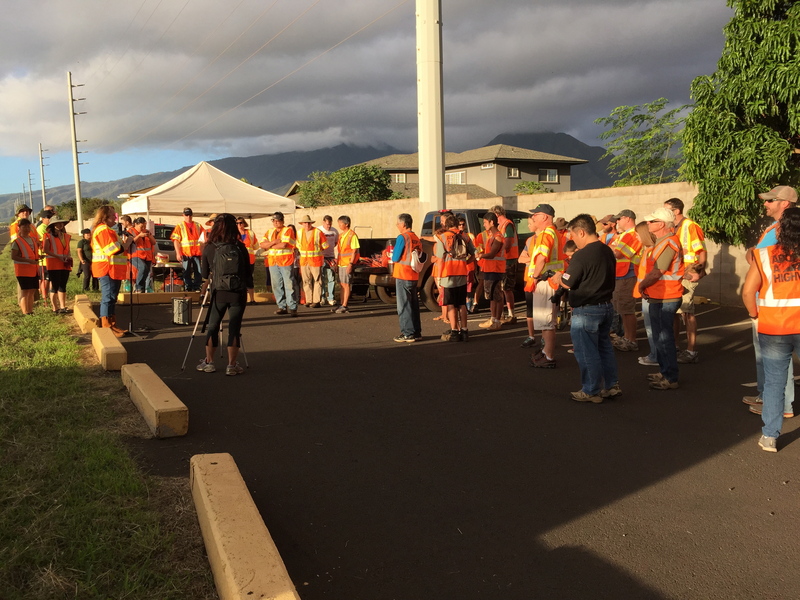 We Stand for Aloha is a gathering of concerned citizens rallied by the Chamber of Commerce and Farm Bureau. These people are getting together to try to heal some of the discord in our community. 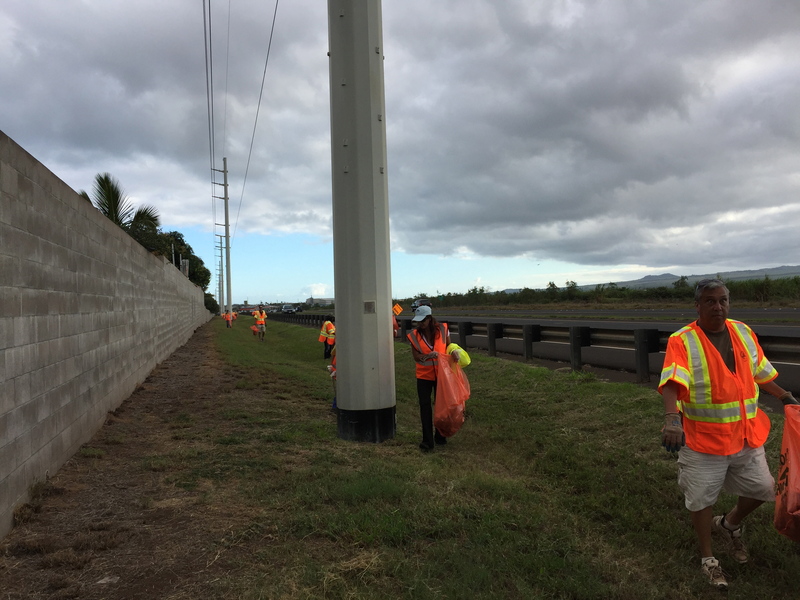 Recently, they went through the process of getting a permit to clean up a 2 mile stretch of road in Kahului and came together with Aloha to make Maui a better place. “Aloha” is more than a word of greeting or farewell or a salutation. “Aloha” means mutual regard and affection and extends warmth in caring with no obligation in return. “Aloha” is the essence of relationships in which each person is important to every other person for collective existence. “Aloha” means to hear what is not said, to see what cannot be seen and to know the unknowable. You be the judge, which group has more “Aloha”? 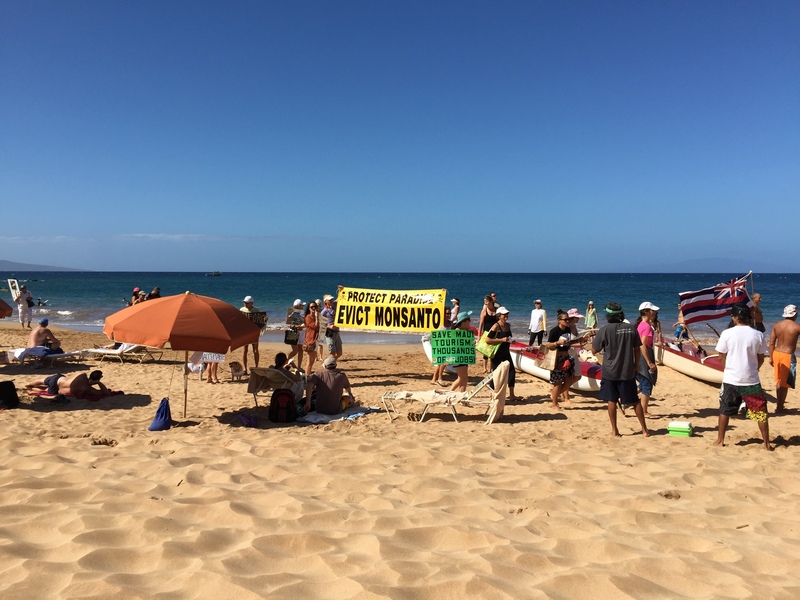 Tags: Aloha, GMO, Maui, Maui County, Monsanto, protest, tourism, We Stand for Aloha. Bookmark the permalink. 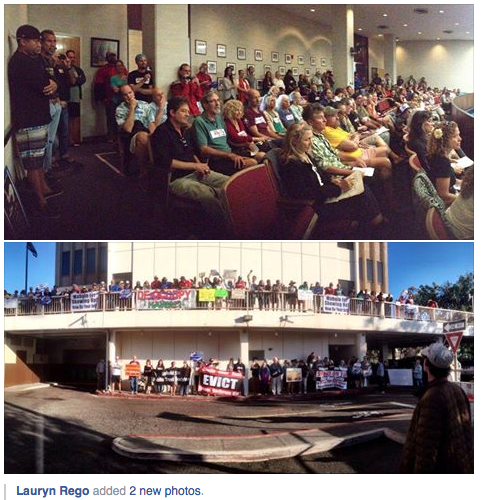 We Stand with Aloha and refuse to tolerate activists such as the Babes who olny divide with fear not facts. աhich i am going to convey in college.